Brad Pitt and Will Ferrell Square Off on New Megamind Poster! Coming from Dreamworks Animation this November, Will Ferrell and Brad Pitt play born nemeses in Megamind! 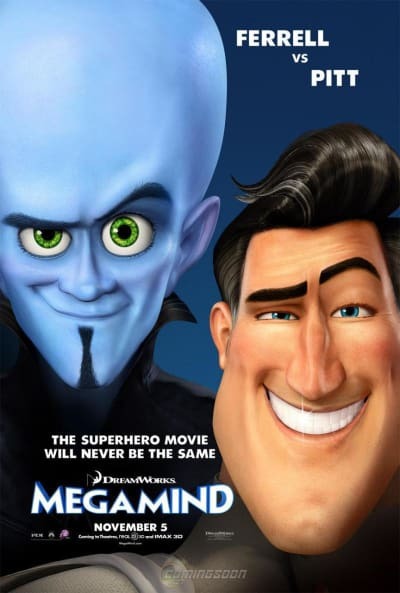 Take a look at the new poster below and see all of our Megamind trailers in the gallery!